"Portrait of an Artist (Pool with Two Figures)" was up for auction Thursday. One of the most iconic paintings of the 20th century shattered the world record for the most expensive work by a living artist sold at auction. 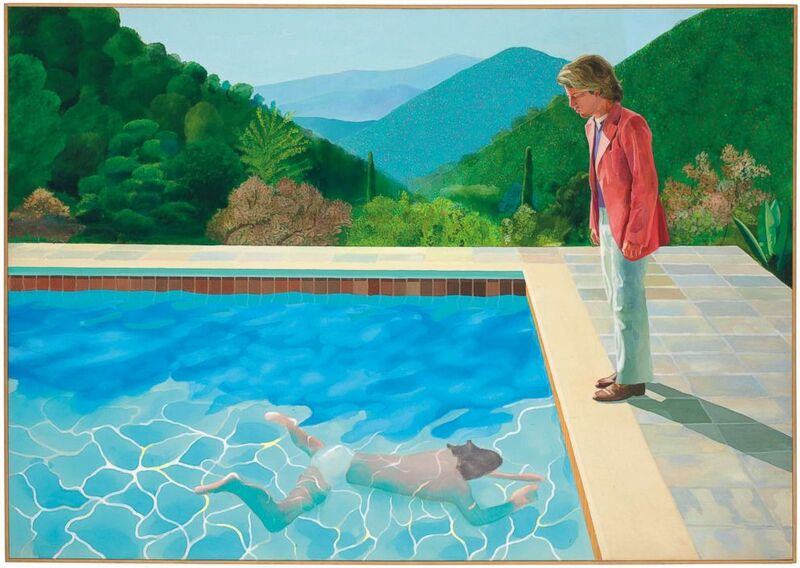 David Hockney's "Portrait of an Artist (Pool with Two Figures)" was auctioned Thursday at Christie's Post-War and Contemporary Art Evening Sale in New York City for a record $90 million, which smashed the $58.4 million record set by Jeff Koons' "Balloon Dog" in 2013. The official winning bid was exactly $90,312,500 -- by an anonymous purchaser. The work was previously owned by billionaire record exec David Geffen, who sold it to a private collector in 1995. (Courtesy Christie's) David Hockney's "Portrait of an Artist (Pool with Two Figures)." The Post-War and Contemporary Art lot also included a Jean-Michel Basquiat painting, "Discography Two," that sold for $20.9 million, and an untitled Mark Rothko work that sold for $35.7 million. In total, the lot brought in over $357 million. Alex Rotter, co-chairman of post-war and contemporary art at Christie's, described Hockney's acrylic painting as "one of the great masterpieces of the modern era." 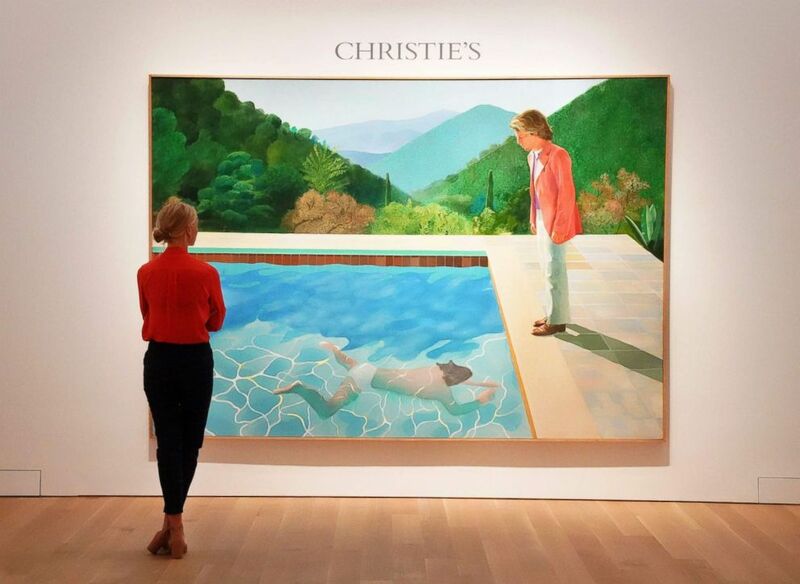 "David Hockney’s brilliance as an artist is on full display with this monumental canvas, which encapsulates the essence of the idealized poolside landscape, and the tremendous complexity that exists within human relationships," Rotter said in a statement. "With this painting, Hockney cemented his placement within the realm of history’s most venerated artists, and come November, it is poised to become the most valuable work of art by a living artist ever sold at auction." (Victoria Jones/Reuters) British artist David Hockney poses inside Westminster Abbey, where he has designed a new stained glass window, in London, Sept. 26, 2018. Hockney, who is revered as one of Great Britain's most influential artists and a pioneer of the 1960s pop art movement, conceived the composition for the double portrait by chance, after seeing the juxtaposition of two photographs on the floor of his studio in London -- one of a figure swimming underwater in a pool and the other of a boy staring at something on the ground. He began painting in October 1971, but abandoned the first version of the canvas months later amid the end of his five-year relationship with Peter Schlesinger, a much younger American artist who was Hockney's original muse for the standing figure, according to Christie's. Hockney, 81, started over in early April 1972, hoping to finish the piece for a planned exhibition in New York City the following month. 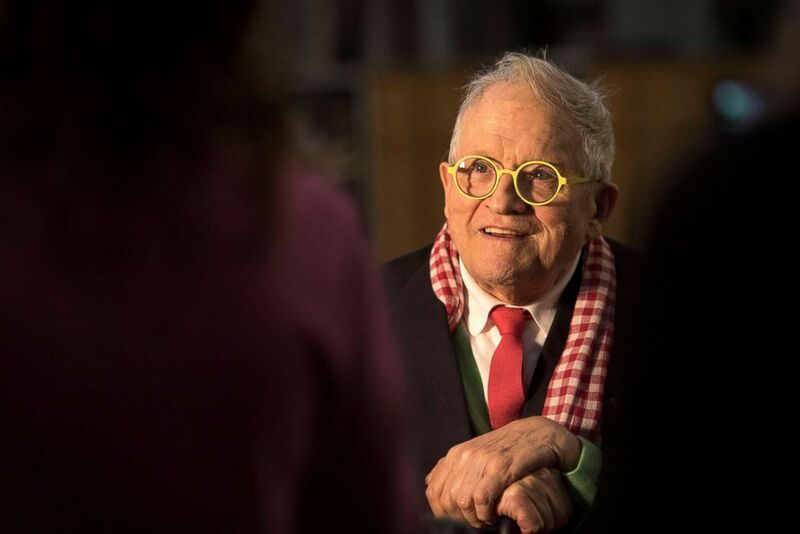 He traveled to English filmmaker Tony Richardson's villa in the South of France, Le Nid du Duc, which became the backdrop for a number of Hockney's works. There, he took hundreds of photographs of the villa's pool and breathtaking view in preparation for the painting, using his studio assistant as a stand-in for Schlesinger and a young photographer as the swimmer, according to Christie's. (Timothy A. Clary/AFP/Getty Images) A woman looks at David Hockneys "Portrait of an Artist (Pool with Two Figures)" during a press preview at Christie's New York, Sept. 13, 2018. Upon returning to London with the images, which soon covered the walls of his studio, Hockney worked on the painting 18 hours a day for two weeks straight, completing the piece the night before it was to be shipped to the United States, according to Christie's. The painting is lauded as a culmination of two of Hockney's most iconic motifs: a pool and a double portrait. The privately owned work went under the hammer at Christie's auction house in New York City on Thursday night.